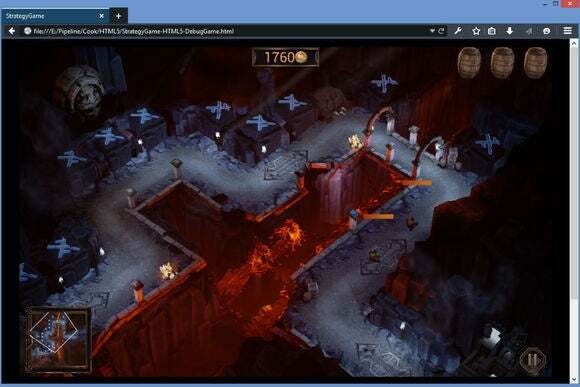 An Unreal Engine game running inside 64-bit Firefox. It's unclear when 64-bit browsing will make its way to the main version of Firefox for Windows. But given that the Developer Edition is on version number 38, and the stable version is on 36, a mainstream release is probably a few months out. If you're running the Developer Edition now and want to switch to 64-bit, Mozilla recommends uninstalling the Win32 without deleting your profile, and then downloading the 64-bit version. Why this matters: Internet Explorer and Chrome already offer 64-bit browsers, so you might view Firefox as merely hopping on the trend. Still, it's telling that Mozilla called out gaming as a potential application. The group has been a major proponent of gaming in the browser, collaborating with Unity on a tool to port games to the web without plug-ins, and working with Epic Games on a web version of Unreal Engine 4. Powerful web-based gaming has been a dream for years, and 64-bit browsing is a key piece of the puzzle.